We’ve curated a group of talented local Chicago artists to display their work for sale on our hollowed grounds. 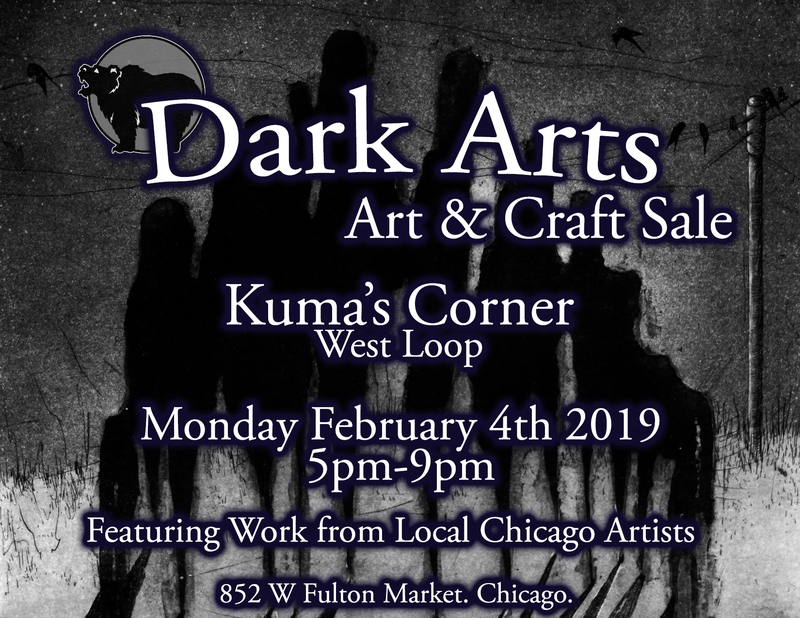 Join us for a great time at the inaugural ‘Dark Arts’ Art and Craft Show at Kuma’s Corner West Loop on Monday, February 4th from 5pm-9pm. For every purchase, you enter a raffle for a $50 Kuma’s Gift Card. PBR Tallboy + Shot of Redemption Whiskey for $6.66!